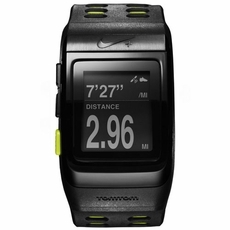 Maintaining your Nike+ Sportwatch GPS protected from harm such as scratches or unwanted particles like dirt and grime can be a strenuous task. IQ Shield protectors make keeping your device protected and clean easy. Each protector is accurately made for your Nike+ Sportwatch GPS to make certain that all of the necessary openings are integrated to keep your device completely functional. IQ Shield protectors are engineered from high quality protective film that features a UV protective layer that will prevent the protector from turning yellow. Each protector is invisible to the naked eye and the smooth surface makes it seem as if no protector is installed. Each protector can be easily installed and removed just as easily without ever leaving any residue or marks that will damage your device. Included with every IQ Shield protector pack for the Nike+ Sportwatch GPS is an installation squeegee, a microfiber cleansing cloth, a protector for your device, and a set of thorough instructions to help you through your installation. IQ Shield is a quality product and we are positive that you will be completely satisfied with our product as well as service that we back each and every one of our protectors with a lifetime warranty.